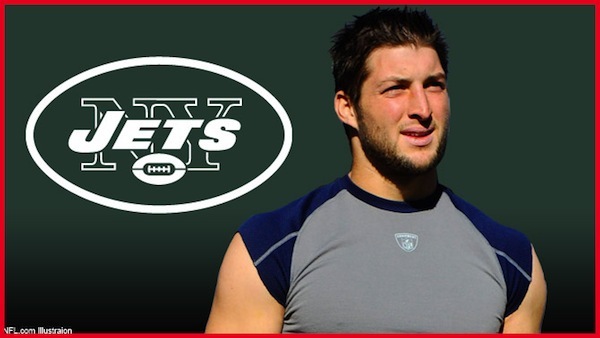 Tim Tebow – Jets’ savior? My apologies for the sensational headline, but it’s a valid question. The New York Jets sent a fourth and a sixth-round pick to the Broncos for the rights to the most polarizing man in sports today, one Tim Tebow. My take? The trade for the Jets will either be the move that puts the Jets over the hump and into the Super Bowl or the move that ends Rex Ryan’s tenure as coach of the team. Early lean? I like it. The Jets’ biggest offensive issue last year was punching the ball into the end zone inside the 10. Tebow will fix that right away. My guess is, with the help of new offensive coordinator Tony Sparano, the Jets will create a Tebow package for short yardage and goal line plays with a very wildcat-like look. NFL defenses to date have had trouble stopping Tebow in these sets, since he has the ideal skill set for these situations. Where it could (and might) go horribly wrong for Ryan is if Mark Sanchez struggles and fans start chanting for Tebow to play full-time. While I think the jury’s still out on Tebow’s ability to be a successful starting quarterback in the league on a consistent basis, New York fans are not known for their patience in such matters. Either way, it’s sure to be interesting.